Decorate and reuse an old makeup compact! 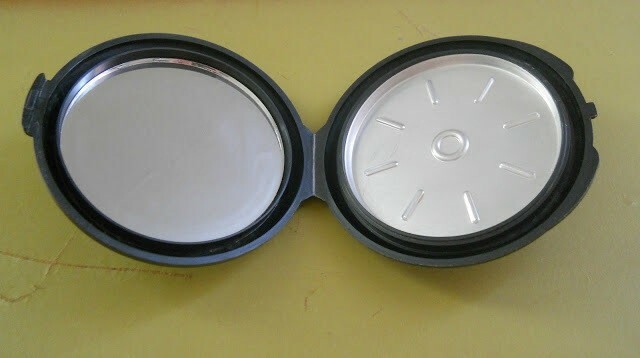 If your like me and you love make-up, then you probably have a tons of makeup compacts lying around. 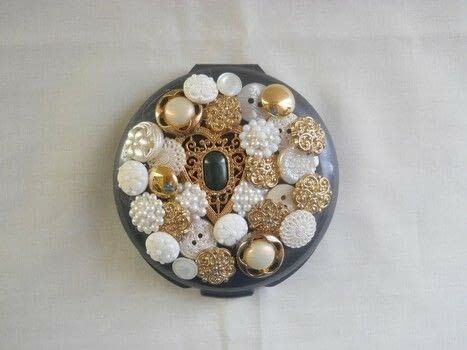 Now I never knew what to do with the compacts when I was done with them. I would usually wash them out and put them in a pile for some future craft project. Well today I am going to show you have to re-vamp your old makeup compact. 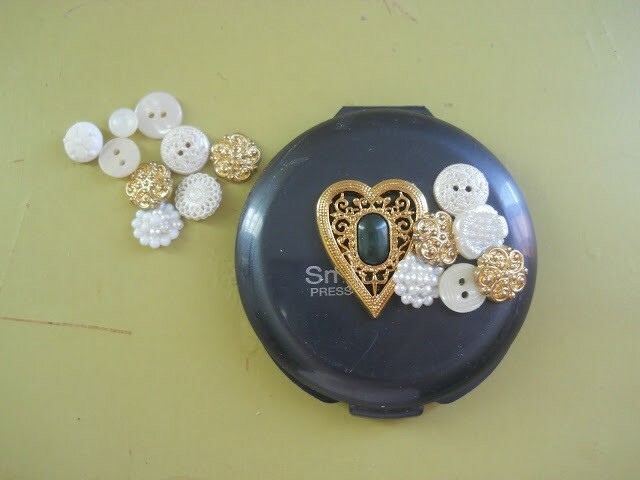 When your done you could use your compact to hold loose change or hair ties and bobby pins. Clean out your make-up compact. 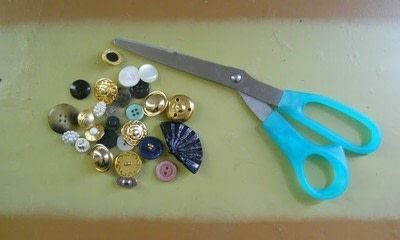 Take your scissors, pilers or shank cutters and clip off the backs of any shank buttons. Then glue your buttons on the front of the compact with your E-6000.